It’s Friday night and I’m spending my evening as I do most Friday nights – psyching myself up for an early morning, a long workout, a mental battle, and a few rough patches. I can remember now why I’m setting my alarm clock for 5am in the morning but by 8am, I’ll be questioning what the heck I’m doing. It always works like that and I always make it through (most of the time). I was a little bummed out this weekend because I didn’t get to do my 15 miler. However, I was okay with skipping it as long as it helped me stay off the injured list. And it was also nice to do something a little different. I slept in until 6am, enjoyed breakfast with Mario and then went to the gym for a really long workout – bike, run (I did get in a few miles), elliptical, weights. Anyway, I needed a little motivation to keep my running spirits up. Today’s blog post is a little different than normal. 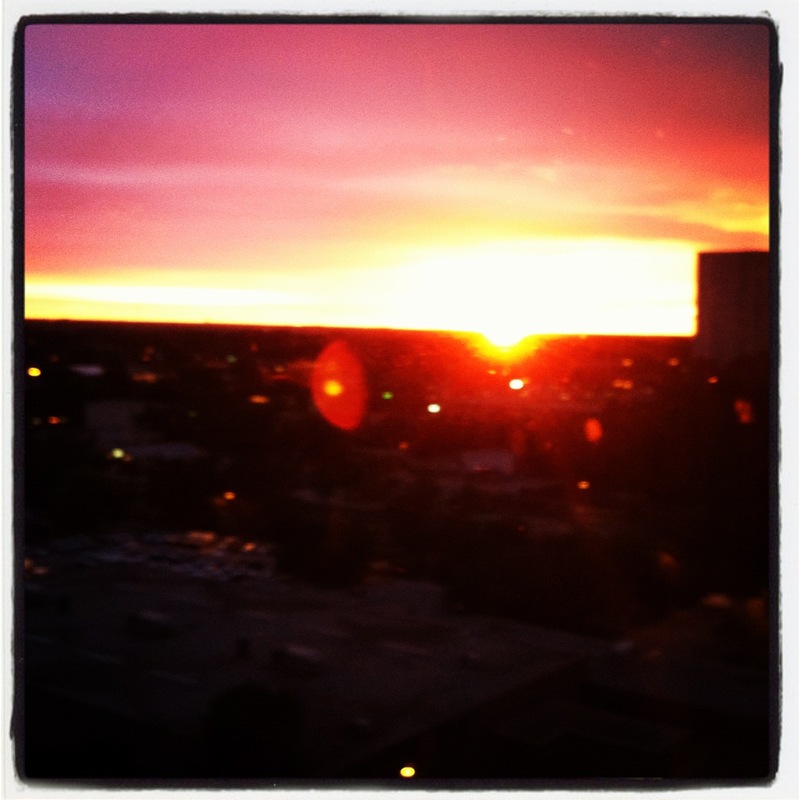 I mentioned on Friday that I would be writing a post for A Good Run, featuring some cool places in Raleigh, NC. Well today is the day I get to show off my fabulous city. Check it out here. It was impossible to include all the people I am thankful for along the various stops. But I do want the following people to know that I am extremely grateful to have you in my life: Mom, Dad, Toni, Mario, Heidi, my grandparents, all of my other family members, my Run Inspired. chicas, my favorite neighbors – Alysha, Geoff, Susan, Daryl, Amie, and Brian, the Diaz family, Sara, Amber, my restaurant club chicas, my students, my blogosphere friends, my Google+ friends, and the list could go on forever. Thank you all for keeping me motivated and inspired. Thank you to all the fabulous people in my life!! And yes, I realize the letters aren’t exactly straight – I tried my best though! And make sure you go read the blog!! 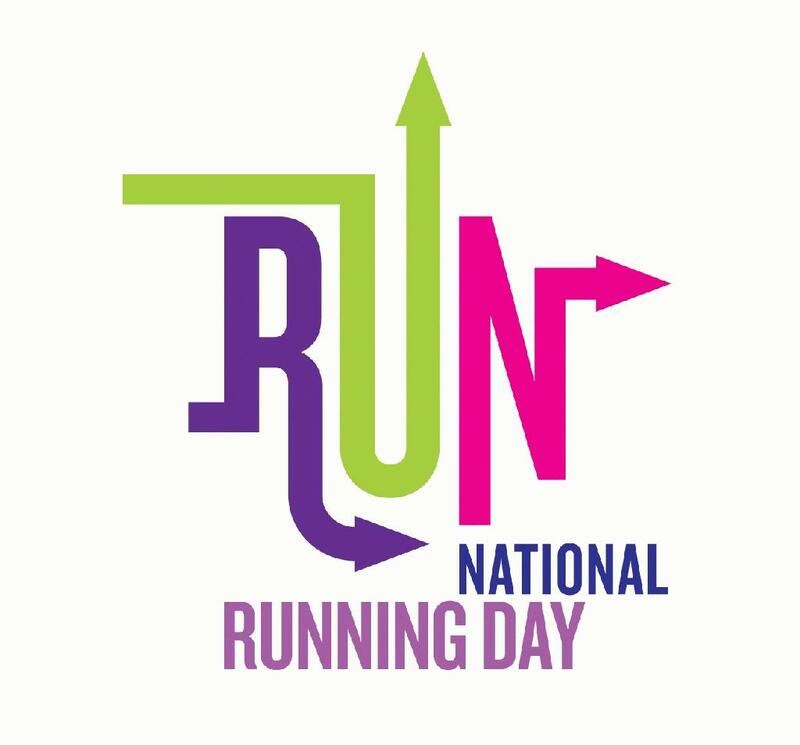 When did National Running Day begin? And who started it? Whoever started this day and whenever it was, I would like to say thank you! Thank you for taking one day out of the other 365 to celebrate the sport we all love so much. I love runners, running, bagels, energy gels, races, singlets, compression socks, arm warmers, Newtons, New Balance Minimus shoes, my G+ runners circle, my Run Inspired. girls, The Lore of Running, long runs, tempo runs, hill workouts, easy runs, my Garmin, Oakley sunglasses, Ryan Hall, Kara Goucher, Shalane Flanagan, Lolo Jones, and anything else related to this sport. So I think it’s important to take one day and celebrate the thing that brings so many people so much joy. 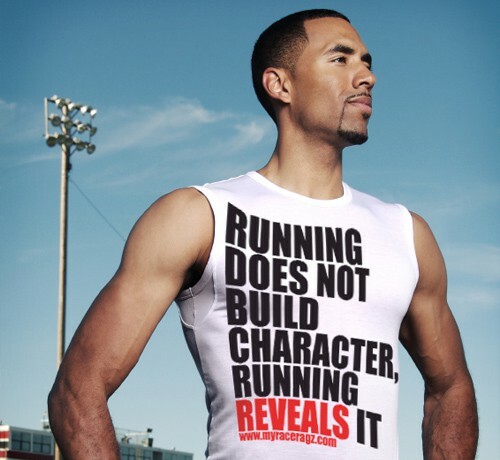 Happy National Running Day everyone!! And if you know when this day became a holiday or who started it, pleassssse let me know! I hate not having an answer to my question of the day. And finally, my run from today. It’s been about a month since my last good run due to a peroneal tendon injury. I love how the elliptical and bike can keep me in shape. And check out the beautiful sunrise this morning… I can’t wait for summer break when I can actually run during the morning! What gets people motivated and how can they stay motivated? Motivation can be defined as “the reason or reasons one has for acting or behaving in a particular way.” Right now it’s 10:24pm and I have 1 hour and 30 minutes to finish this blog post in order to not fail on my pledge, and I’ll be darned if I miss a post. I’m motivated to make this happen. Why? Motivation is linked to certain brain functions. Your brain learns to associate certain actions with certain rewards. For example, a hard workout equals a glass of wine. The wine is my reward and I enjoy it. The reward provides me with natural reinforcement for future motivation. 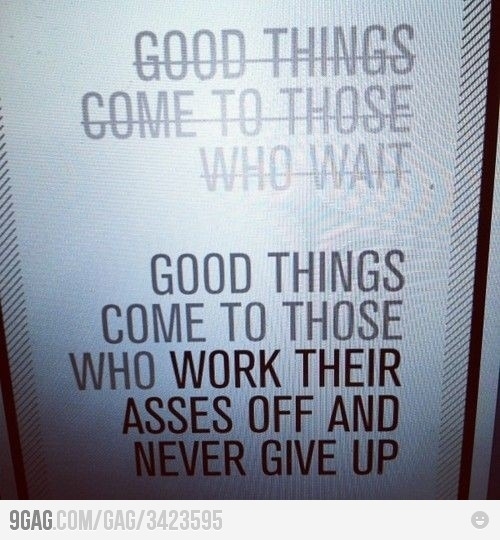 Therefore, I become motivated to do the workout because I know the reward is soon to follow. In order to stay motivated, you have to keep your eye on the prize. Rewarding yourself along the way, (such as with a glass of wine), will keep your motivation high and your focus sharp. It is also important that you enjoy what you are doing. Running outside is something I enjoy A LOT. However, if someone told me I had to run on the dreadmill everyday, I’d lose some of my motivation. I do not enjoy it. Surrounding yourself with inspiration and your motto will also help to keep you focused. I have a running inspiration board that I see every morning and it reminds me of what my end goal is. In Boston, I had my motto written on my arm and it kept me going (up until mile 13.5). You have to constantly remind yourself of what you are working so hard for. Surround yourself with like minded people. Discuss your goals with other people. They will hold you accountable. And finally, when you find yourself getting in a slump, immediately nip it in the bud. Because as soon as you miss a week of working out, it becomes a slippery slope. So stay focused. Reward yourself often. And surround yourself with inspiration. It will get you out the door for those early morning runs and keep you working for whatever your end goal may be. And on a side note, I want to send my deepest sympathies to my best friends Emily and Tyler. They unexpectedly lost their beloved dog Beans this morning and it has been a very tough day. Beans was an amazing animal and I will miss her dearly. Pets really can become like our own children.